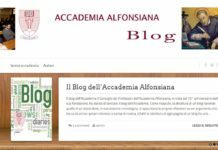 (Rome) The anniversary for a university institution is always an opportunity to take stock of the steps taken and above all to give new impetus to its commitment to research and teaching. 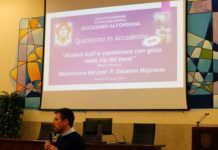 This is what the Alphonsian Academy, the Higher Institute of Moral Theology of the Lateran Pontifical University is doing, recalling its seventy years of service to the renewal of moral theology. It should therefore be considered providential that this celebration coincides with that particular commitment, requested by Pope Francis to all Catholic universities, for “a revival of ecclesiastical studies in the context of the new stage of the Church’s mission, marked by the witness of the joy that comes from meeting with Jesus and the proclamation of His Gospel “(Veritatis Gaudium, n.1). After a long period of management, interrupted by the two world conflicts, the Alphonsian Academy began to take its first steps at the end of the forties of the last century. It was an expression of the willingness of the Redemptorists to remain faithful and to transmit the Christian life proposal of their founder, Saint Alphonsus Maria de Liguori, developing the intuitions and choices that, as John Paul II wrote, had made him “the renewer of moral theology.”(Spiritus Domini). The option for moral theology, operated by the Academy since its inception, received further confirmation at the time of the reorganization of studies, decided by the Congregation for Catholic Education in 1968 with the promulgation of Normae Quaedam, and the consequent implementation of the specializations of the license in theology. In October 1969, the same Congregation approved the program, divided into a specialized license (2nd cycle) and a doctorate (3rd cycle) in moral theology. The approximately five thousand students belonging to all the continents, who in these seventy years have been able to deepen the moral theology of the Alphonsiana. Faithful to the missionary choice of St. Alphonsus, he was particularly concerned with welcoming young people from the mission territories, stimulating them to a courageous inculturation of Christian life in response to the expectations of their communities and at the same time in sincere dialogue with the other ecclesial realities. The founding intent was the renewal of moral theology i.e. to make it more clearly theological and less juridical in the system and in the method, starting from a unitary vision of Christian life: a moral theology “in a broad sense” affirmed its founder, the father general. Leonard Buijs, the Redemptorist Superior General, in order to understand the whole proposal of Christian life, and the study of pastoral and spiritual theology founded the Alphonsian Academy. And it was to achieve this “with all the strength, to answer the problems even more recent of our time”, taking charge of the “immense needs of priests engaged in the care of souls”. He has, therefore, made the road of constant dialogue with the sciences and the different competencies existing in society. Without detracting from the scientific needs of the theological discourse, the Academy, following the example of its heavenly patron, has made a special effort to give the moral proposal a more clearly pastoral breath, making it a faithful echo of the Redeemer “sent to bring good news to the poor, to proclaim liberty to captives and sight to the blind; to free the oppressed, to proclaim the year of grace of the Lord” (Luke 4: 18-19). Therefore, he felt he must always start from the merciful listening of reality, above all from the difficulties and hopes of the weakest and most marginalized. He, therefore, sought a salvifically medicinal proposal of moral truth so as to allow everyone to welcome with gratitude the vocation to holiness. 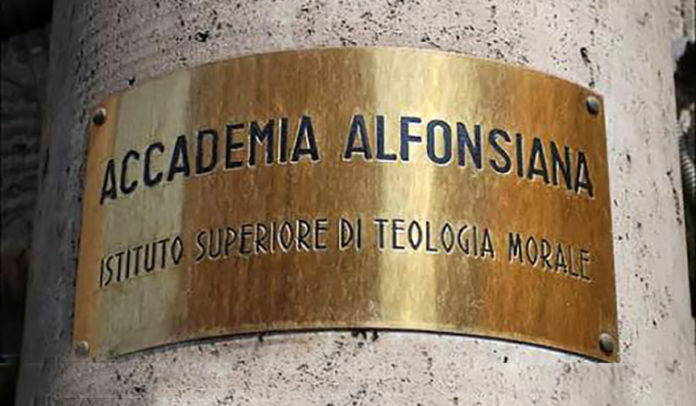 The convinced participation in the work of Vatican II and the sincere development of its renewal demands have characterized the following path of the Alphonsian Academy, facing difficulty and constructive spirit even the most demanding issues. It has always been clear that the task of moral theology is not to outline “recipes” to be applied simply, but proposals capable of sustaining and accompanying consciences in discerning the passage, which grace makes them possible on the path towards the same perfection and mercy of the Heavenly Father (see Matthew 5:48, Luke 6:36). An invitation for all to holiness in everyday life by Tony Fidalgo C.Ss.R.